If you have followed me for awhile you know that Holidays are my FAVORITE. I love any opportunity to go all out- let my kiddos feel extra special and their day extra fun! 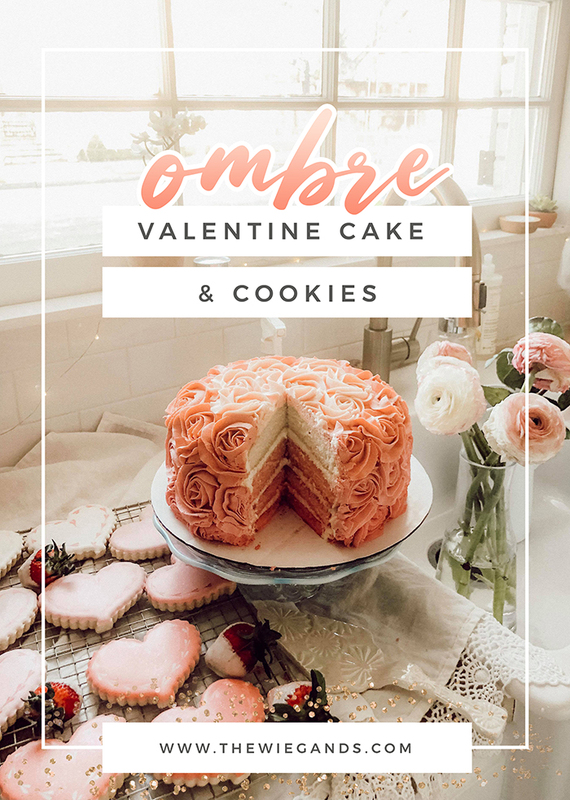 I really wanted this year for Valentine's day Ombre pink heart cookies, and Ombre cake and some pretty pink play dough for some fun celebrating at home! Even when we didn't have fancy beautiful cakes or fresh flowers, we always tried to make holidays something special in various ways. It's the sweetest to make the magic for our little ones! That could even mean twinkle lights, a fun blanket fort, dollar store prizes and homemade heart bingo! What are you doing this Valentines day? !